Even if you are leery of joining this social media network, or hardly ever follow up with it, it can be a rich source for professional contacts that can assist to increase your profits. If you tailor your profile right, you can find like-minded people who are trying to master the stock market as well. This could lead to a very advantageous relationship, and in today’s world, you never have to meet face to face. That is, you can dig around and discover people who seem to be successfully making investment decisions on the market and milk them for any tips that they have via email, the telephone, Skype or any other way that you want to interact. For example, if you come across someone that bills himself as a “part-time investment analyst” or the like, they can turn out to be a rich source of information for future investment strategies. LinkedIn will bring you into a community far wider and more knowledgeable than your local Rotary Club or your circle of friends at the office. Take full advantage of that and keep your eyes open for people in the network that might have some investing know-how. 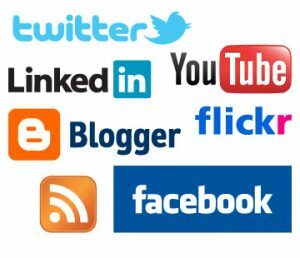 When using social medial networks, be sure you stick to the ‘social media’ code of conduct, by always offering something of value. If all you are doing is taking what others are offering but not reciprocating, you will essentially be labeled a ‘spammer’. No one likes a spammer! Those sites that you have scanned night after night after your wife and kids have gone to bed, searching for the next great hunch or tip? They now take full advantage of social media, which means that you don’t necessarily need to wait until late in the night to get your investment advice. Go on your favorite sites and become their friends on Facebook and follow the Tweets of your favorite gurus. The next thing you know, you will be getting a Tweet at 8:30 a.m. one morning advising you to buy a hot stock. No more waiting until you have time to get on the Net after work. The entire flow of information changes from you seeking it to others Tweeting it. That saves you time and energy and can get vital insight to you much quicker. In the old days, you had to wait until work was over and you could sit down and watch Bloomberg to find out who was doing what. Or, you picked up the morning paper to see if there was any financial news that you needed to know about. Today, the channels of information continue to evolve. Your favorite companies still issue press releases, but some of them probably post major moves on their Facebook accounts or through Twitter before the press even hears about it. That means that you need to follow the firms that you like, so that you can get their latest information more quickly than even the television networks. That could make a difference of hours, minutes or days, which could make a huge difference in making investment decisions of when to buy or sell. The number of firms that will use social media networks to announce important decisions or give a brief look into how they are thinking will only grow in the next few years. You can’t follow everyone on Twitter, but a good idea is to make a list of a few experts, financial websites and favorite companies, find out if they Tweet, and get on their list. You will be a true insider, and you might get a tip before the larger investment community does, giving you the leg up to increase your profits. Keep tabs on these companies’ Facebook pages as well to gauge any major moves that they might make in coming days. Thanks for sharing your thoughts oon increase your profits.